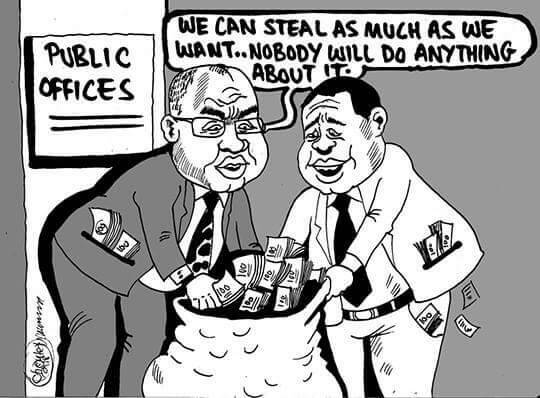 The PF regime has continued milking with the latest plunder if ordering ZCCM IH to give a loan of up to US$19 million to the Industrial Development Corporation (IDC). The IDC says it will use the funds to finance its investment projects. Edgar Lungu is the chairman of IDC. For its part, the IDC will use its 360,937,534 ordinary shares in ZANACO as security. The IDC is the majority shareholder in ZCCM-IH, holding 60.28% of the total issued share capital of ZCCM-IH. According to a notice from ZCCM IH, the IDC requested bridge financing from ZCCM-IH. “The Board of ZCCM-IH considered and approved IDC’s request on 29 March 2018. Therefore, ZCCM-IH has advanced a loan to IDC at commercial terms. Interest accrued is payable at maturity of the facility agreement and the maturity date is 12 months from the date of issuance,” the notice said. According to the notice, an Independent Expert conducted an analysis on the terms of the Transaction to ascertain the extent to which the terms of the Transaction are fair and reasonable as far as the minority shareholders of ZCCM-IH are concerned. The Expert has declared that the Transaction is fair and reasonable, and the fairness opinion will be available for inspection by shareholders at the ZCCM-IH offices for a period of 28 days from Friday, 15th June 2018. It says the nature of the Transaction is classified as a Small-Related-Party Category 2 Transaction and is not subject to regulatory and Shareholder approval according to Section 10.7 of the Lusaka Securities Exchange Listings Rules.